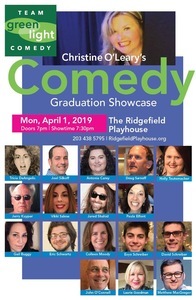 The Comedy Workshop Graduation Showcase is the finale to Christine O’Leary’s Stand Up Comedy Workshop here at The Ridgefield Playhouse. The brave, funny, and fabulous students will have their chance to perform their comedy set that they developed over the 8-week long program. Head to the Ridgefield Playhouse, laugh yourself silly while cheering on a great group of budding comedians! Tickets ($20) can be purchased here.